Top 10 Tips for Getting Your Eblast Noticed! We know you want your message to be read and considered by your customers. 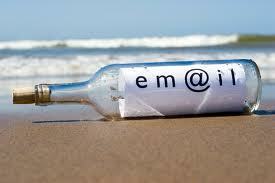 For the New Year we have compiled our top ten list of best practices for email campaigns. There is nothing more crucial to a good eblast than a descriptive headline. Picture the headline as a cover letter of a resume, if you don’t have a good one, there’s a higher chance it won’t get looked at no matter how outstanding you may be. Since the majority of people are either using an email reader such as outlook or viewing the email on a mobile device instead of a webmail interface (like yahoo or hotmail), headlines should be shorter than 35 characters, 25 is ideal to ensure that the headline is displayed to the reader in its entirety. When designing an Eblast it is a good rule of thumb to remember that most users have their screen resolution set to 1024 x 768 or smaller. This said, if your eblast is 1000 pixels wide the people you are trying to reach are using Outlook to view their emails, most of your eblast will get chopped off in the preview screen. 4. Hello, my name is…? Introduce yourself. Either use your logo or type out your company name or place a photo of yourself so people know who is sending the eblast. Eblasts can become pretty mundane if you keep using your logo in the header all the time, so mix things up a bit and put your logo at the top of the left sidebar along with links to your social media sites, blog, and website. The header can be about the subject of the eblast and include the subject line within the header somehow so people don’t feel misled when they open up the eblast. Use some cool graphics to provide a visual about the content to further draw in the reader. Since Outlook and webmail interfaces are built around html why use just an image? It is not only more functional but your eblast will load faster. When using html your recipient will see more than just a blocked out image (which is often displayed as an X) This also helps to separate your email from spam, as many top spam filters flag emails with one large image and very little text. Eblasts shouldn’t have a long scroll factor, causing your finger to get cramped up and be put into a splint. There is nothing that makes you want to smash your Smart Phone more than receiving an eblast at 3 am. Hopefully you have the sound off at night, but we all remember those first few nights. By sending eblasts out at times where the recipient is in front of the computer or has Outlook open, they are much more likely to view your email. Prime times for delivery are during normal working hours and before noon on Friday. Avoid “click here” language because that is spammy. Use a link to “Unsubscribe” from your eblasts. Before sending it out, test your email to as many different email clients as possible just to be sure everything is displaying properly. Nobody likes receiving a wonky email. A normal open rate is 20-30%, if you start seeing a sharp decrease in your open rate it could be that your emails are going to the spam folder. Or perhaps your email list is not as up to date as you had thought and a lot of the emails are being bounced due to a bad address.